You know your zodiac sign. But did you know that that is just one of MANY zodiac placements you have in your personal birth chart? When a person talks about their "sign," they're really talking about their Sun sign -- the zodiac sign the Sun was in at the moment of their birth. Yet while the Sun is absolutely key in your Astrology chart, there's another sign that's just as important -- this is called your "Rising sign." Technically, your Rising sign -- also known as the "Ascendant" -- is the sign that was rising over the horizon at the exact time you were born. In Astrology though, your Rising sign is also the sign around which your entire birth chart is oriented. It determines the cusp of your 1st House of Self -- the point where your birth chart begins -- and therefore all the other houses in your Astrology chart, too. Knowing your time of birth is necessary to determine your Rising sign. That's because there are 12 signs, and 24 hours in a day -- so the Ascendant moves to a new sign every 2 hours. It's possible to guess your Rising sign based on an approximate birth time, but to be accurate it helps to know the exact time to the hour and minute. What's the difference between Sun and Rising signs? Because your Rising sign is associated with the 1st house of a chart, it's really all about you. It represents the surface of your personality -- what you show to the world on a day-to-day basis, like how an acquaintance might see you. Think of it like the cover of your book -- it's just the first impression. It's enough to get an idea of who you are ... but not your whole story. 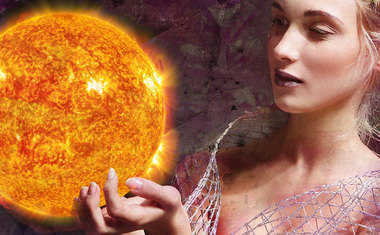 While your Sun sign is very intimately connected to the big picture of you, your Rising sign is much more about the "you" people see on the surface, about how you behave around others. If you've ever been confused by the fact that people perceive you very differently from how you see yourself, it's because what people see can be dominated by Rising sign traits rather than the Sun sign traits you understand yourself to have. 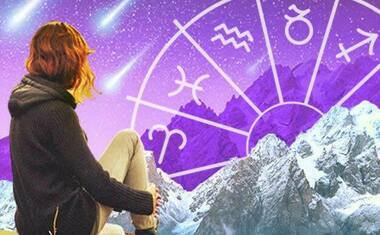 Are you reading the right horoscope? It may come as a surprise that nearly all western horoscopes -- daily, weekly, monthly, and yearly horoscopes -- are actually written based on the house system. This means astrologers use houses to explain how the current cosmic energy will impact an individual. Long story short, this means: You should be reading your horoscope for your Rising sign, not your Sun sign! 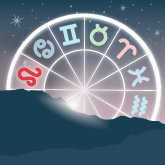 The horoscope for your Sun sign is still important, because the Sun is so important, but you'll likely find more accuracy if you read the horoscope for your Rising sign instead -- or both your Rising AND Sun signs -- because it is, in fact, much more specific to your personal Astrology chart. Remember: Your Astrology is not based on one specific sign -- you are made up of MANY signs! Together, your Rising sign, Sun sign, and Moon sign (the sign the Moon was in at the time you were born) represent your outer self (Rising), your inner self (Moon), and your core (Sun). Just the same, you have planets and signs in your personal birth chart that represent your love life, your dreams, your health, family, and more -- this is how your Astrology chart represents YOU so specifically!